Maine Homestead Exemption Act. April 1st, Deadline. Last night at the Town council I brought up the Homestead exemption act. It can help to lower your property tax on your home by up to $10,000 and reduce your yearly taxes by up to $156.00. Trying to find information about this was challenging but here are the links. Here you will find applications, for Veterans, the Blind, and the rest. Why not try and save some money. It may not be much but it is your money. Also while your at it, check Maine’s unclaimed money site. In searching for Kittery Residents I know, I counted over 100. You will be shocked at who you may know and it could be you. The homestead exemption provides a reduction of up to $10,000 in the value of your home for property tax purposes. To qualify, you must be a permanent resident of Maine, the home must be your permanent residence, you must have owned a home in Maine for the twelve months prior to applying and an application must be filed on or before April 1 with the municipality where the property is located. The exemption applies to any residential property that is assessed as real property. For instance, a mobile home located on a rented lot may qualify for the exemption. You can download the application at www.maine.gov/revenue/forms/property/apps/homesteadapp.pdf. 2. Am I a permanent resident? A permanent resident is an individual who has a true, fixed and permanent home to which the individual, whenever absent, has the intention of returning. You may have only one permanent residence at a time and, once a permanent residence is established, that residence is presumed to continue until circumstances indicate otherwise. For more information, see 36 M.R.S. § 682. 3. 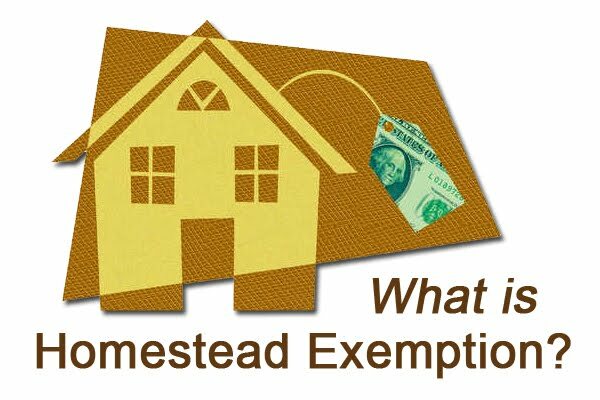 How do I apply for the homestead exemption? The homestead exemption application is available at most municipalities or you may download the application at www.maine.gov/revenue/forms/property/apps/homesteadapp.pdf. The completed application must be submitted to the municipality where you reside. If there is more than one owner, only one signature is required. Forms filed after April 1 of any year will apply to the next year’s tax assessment. 4. Do I have to apply for the exemption each year? No. Once the exemption has been approved, it will remain in effect as long as your ownership and residency status remains unchanged. 5. Can I have more than one exemption? No. The homestead exemption is limited to only your primary residence; camps, vacation homes and second residences do not qualify. If you also qualify for a veteran or blind exemption, the homestead exemption is in addition to those exemptions. Please visit our Property Tax Exemptions page for more information. 6. Why is the exemption on my tax bill less than $10,000? The $10,000 exemption must be adjusted by the local certified ratio. The local certified ratio is generally the percentage difference between the fair market value of your home and the local assessed value. Since your property taxes are based on the local assessed value, the $10,000 statewide exemption must be adjusted to apply to all property in the state equally. For example, if the local ratio in your town is 80%, your homestead exemption is computed in the following manner: $10,000 x .80 = $8,000. Your property value would be reduced by $8,000 by the homestead exemption. If you have further questions regarding the computation of your exemption, please contact your municipality or your local tax assessor. The homestead exemption cannot exceed the total value of your homestead; if the total value of your homestead is $9,300; your homestead exemption cannot exceed $9,300. 7. What should I do if my application is rejected? If the assessor determines that you are not entitled to the home exemption, the assessor shall provide a notice of denial that includes the reasons for denial. You may appeal the denial in writing to the local Board of Assessment Review or to the County Commissioners. Further guidance may be found in Property Tax Bulletin #10 and Title 36, §§ 843 and 844. This entry was posted in General Town News on September 15, 2015 by Chuck Denault.